There is always time to think about how to improve your grilling skills. 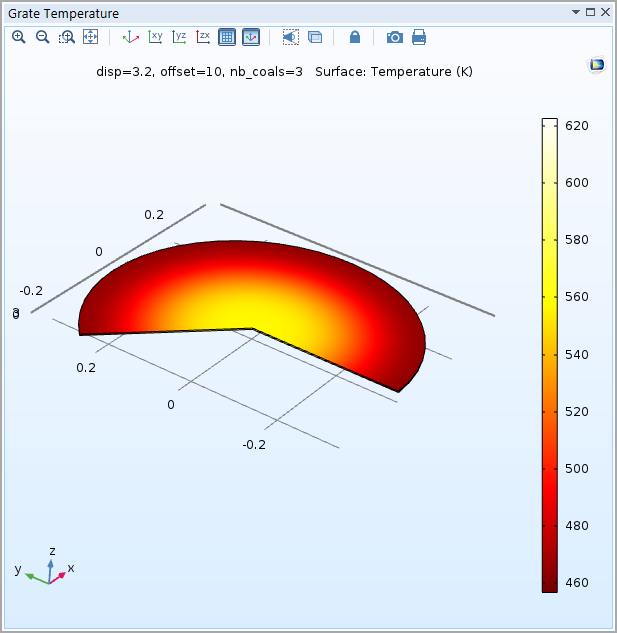 In this blog post, we show how to use the COMSOL Multiphysics® software to determine the best way to arrange the coals or briquettes in a charcoal grill for even heat and to avoid hot spots. Even heat is required when making a grilled pizza, for example. When using a grill, heat transfer to the food occurs primarily through thermal radiation. This means that, in a common charcoal kettle grill, heat reaches the food through direct radiation from below as well as through reflection from the kettle walls. Depending on the food that you are grilling, the desired heat distribution may vary. For a steak, for example, you may want to use a so-called two-level fire, where you pile most or all of the coals on one side of the grill. You can sear the steak on this hot side and then finish cooking it on the other side, where the heat is gentler. If you put the lid on the grill, it acts more like a convection oven, which is a good method for larger roasts and whole birds. Such slow cooking is usually referred to as barbecuing rather than grilling. Other cases, such as when you want to make a grilled pizza, require heat that is intense but also evenly distributed without hot spots that might burn the food. You would think that an even, single-layer fire would be the best way to achieve even heat, but practical experiments and simulation show that there is an optimal, and perhaps unexpected, coal arrangement. The best method for even grilling, as reported in a recent Cook’s Illustrated article, is to shape the coals into a ring, leaving the center of the grill empty. Though it sounds counterintuitive, a fire with the coals spread across the grill will not provide an even heat at the grill grate. This happens because the food is not just subjected to heat from below. In addition, the curved kettle walls reflect the heat inward, creating a hot spot at the center of the grill. Heat from a grill with a ring of coals (left) and evenly distributed coals (right). Let’s see how, using COMSOL Multiphysics, we can compare different coal arrangements and their effect on heating in a grill and thereby confirm (or not) what is indicated as the best arrangement for even heat. 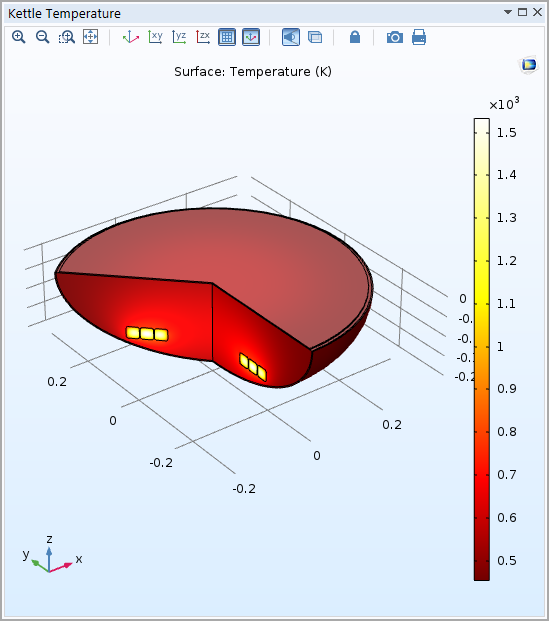 The objective of the simulation is to check, for these three cases, the average temperature and the difference between the highest temperature and the lowest temperature. If the temperature difference is smaller, then the temperature is more even, which is what we want to achieve for the best results. In our COMSOL® model, we make use of the symmetry of a conventional kettle grill and model it using an axisymmetric 2D geometry. To account for the three coal configurations, we add parameters for the distance from the center, the number of coals, and the distance between each coal. Then, a parametric sweep is set up so that a single study provides the simulation results for all three cases. Heat transfer by natural convection is neglected as heat transfer by radiation is supposed to dominate. For the domains, air is treated as a fluid and the steel domains and coals as solids. In addition, each coal acts as a heat source, with a heat rate defined using a power of 3 kW. For the boundary conditions, all boundaries are considered as diffuse surfaces that reflect radiative intensity uniformly in all directions. The initial temperature and the ambient temperature are set to 293.15 K (20°C). The exception is the symmetry boundary, which uses a predefined axial symmetry condition. To increase the accuracy in the model using surface-to-surface radiation, boundary layer meshing is added for the coal boundaries. To compute the stationary study for all three cases, a Parametric Sweep node is set up to sweep over three specified combinations of parameter values corresponding to the three coal arrangements. The full parametric sweep to compute the temperature in the kettle grill only takes a minute or two on a normal workstation. To postprocess the results from an axisymmetric simulation, we can use Revolution 2D data sets, which take an axisymmetric Solution data set as their input and revolve it into a 3D solution. The following plot shows a revolved solution for the simulation case with coals in a ring. The kettle temperature for the case where the coals are placed in a ring. The axisymmetric solution is revolved 225 degrees. Which Coal Arrangement Provides the Most Even Heat? There is a much smaller temperature variation with the coals arranged in a ring, whereas the average temperature is almost the same in all three cases. So the simulations confirm what experiments have indicated: Arrange the coals in a ring for the most even heat in a conventional kettle grill. Plots of the grate temperature for coals in the center (left), everywhere (center), and in a ring (right). In this blog post, we outline an easy-to-understand example of how simulation can help make an informed decision on a design — even in everyday life. 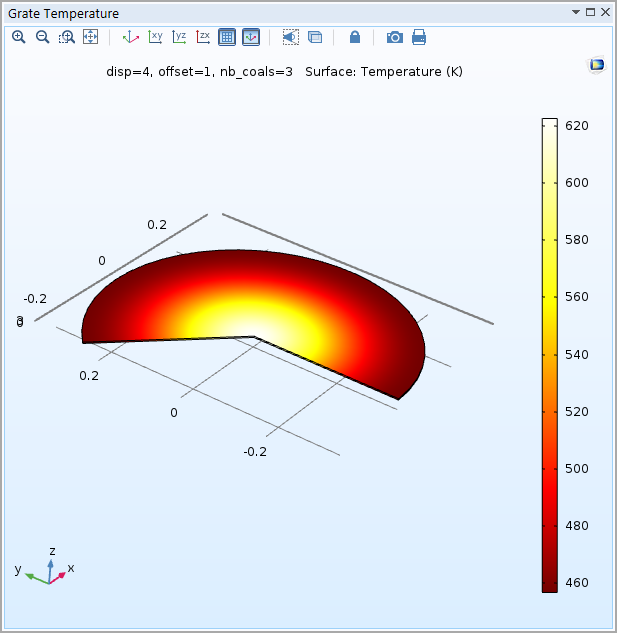 By simulating surface-to-surface radiation in COMSOL Multiphysics, we can clearly see that coals arranged in a ring around the perimeter of the grill provide the most even heat. Now, let’s get ready for grilling season! 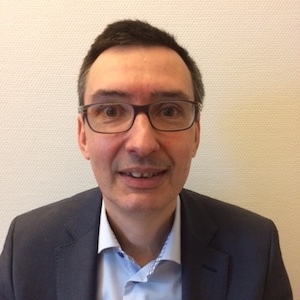 This is a very good article of practical importance that I can hand to a non-COMSOL user to explain to them what COMSOL can be used for; i.e., a non-technical financial manager. I will be sure to pass this on to colleagues for good reading and also give the charcoal ring at my next grilling. 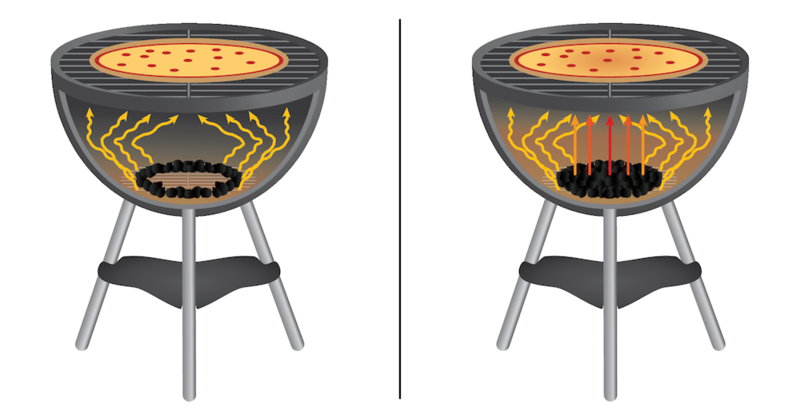 The optimum grill design – must be to all coal is centered in one hot item (not too hot for the sake of dioxin) – and the heat generated is optimal. Grill should then have design form as heat distribution griddle plate is desirable. To spread coal – will typically degrade / stop incineration. Thanks for your comments. 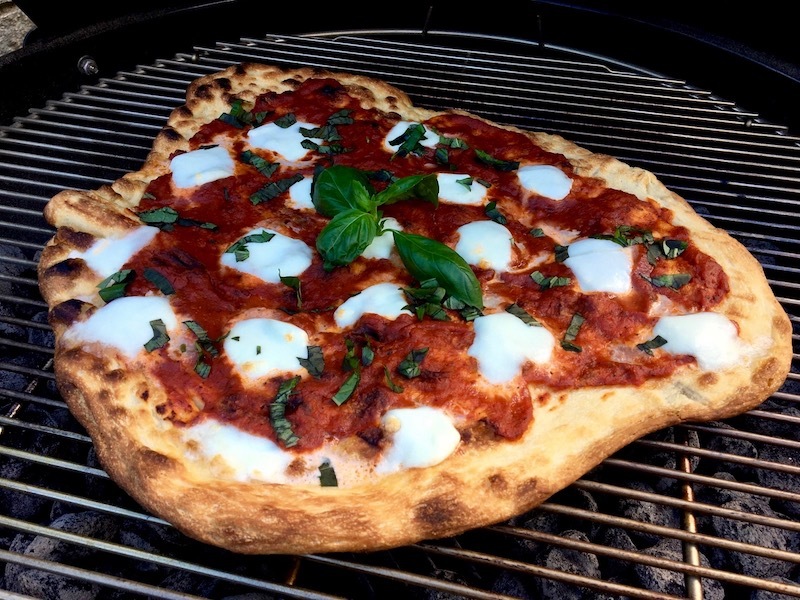 This blog post was inspired by articles that claimed that spreading the coals in a circle does indeed provide more even heat, when such even heat is desired (for example, when grilling pizza). When grilling other types of food, other coal configurations are usually preferred. We wanted to see if this claim could be verified using heat transfer simulations in COMSOL Multiphysics, and indeed, the simulations matched the observations made. There is also an explanation for the simulated and observed temperature distribution in the surface-to-surface radiation and the shape of the kettle. Perhaps simulations could also be used to further develop the kettle shape for some desired heat distribution but that is beyond the topic discussed here.